Measure approximately 20" x 11" x 3"
Looks right out of the movie! There comes a time in life where costumes on Halloween just don’t cut it anymore, decking your home out in creepy décor is where the real fun is at. Give those trick or treaters a real run for the money (or candy in this case) this year by adding a tombstone or two to your yard. 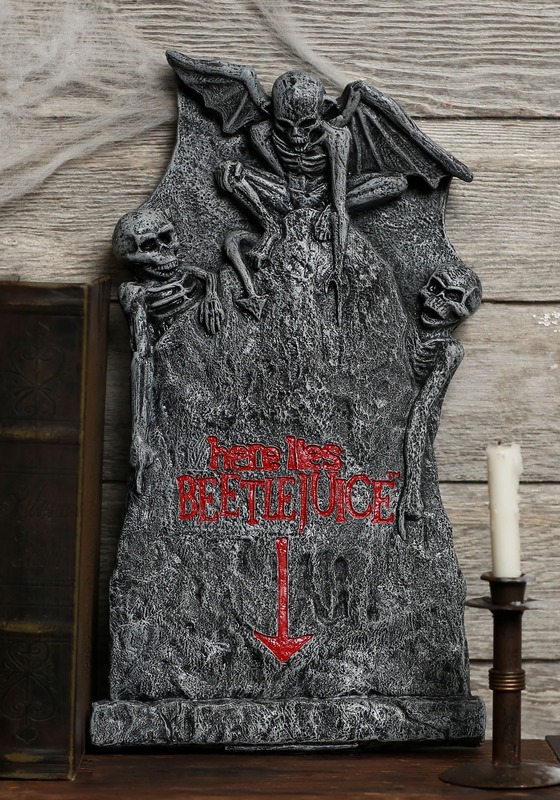 Our Beetlejuice Small Tombstone looks almost identical to the one in the movie and is sure to add a little spook to your home! Big Beetlejuice fans will love decorating their Halloween yard with this small tombstone giving your visitors a fright! It's creepy, kinda funny, and will have any fans of the film light up with joy, what else do you really need. Just make sure you don’t say his name 3 times!